Is guaranteed to turn heads wherever you go. Good to drive on and off road. Plush interior. There are much better soft-tops for £50k. Tiny boot. Very little room for passengers in the back. Engine oil contamination from DPF regens after short runs. 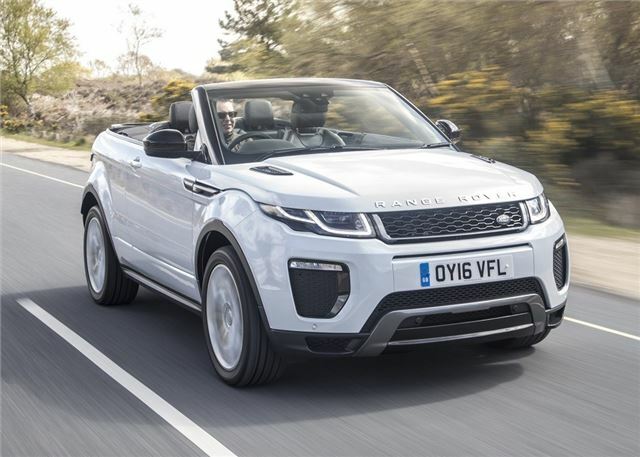 Given the popularity of the Range Rover Evoque, it’s perhaps understandable that Land Rover has looked to capitalise on its success by adding a stylish soft-top to the range. 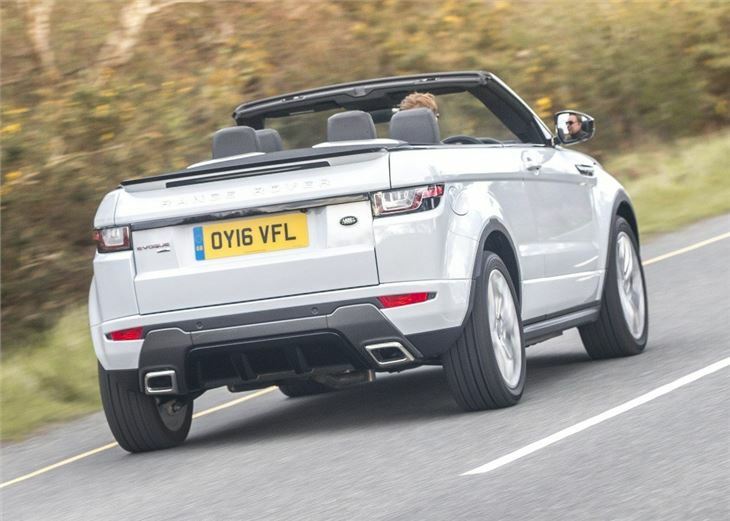 However, while the Evoque Convertible is striking to look at and genuinely good to drive, its novelty value is outweighed by some serious shortcomings. 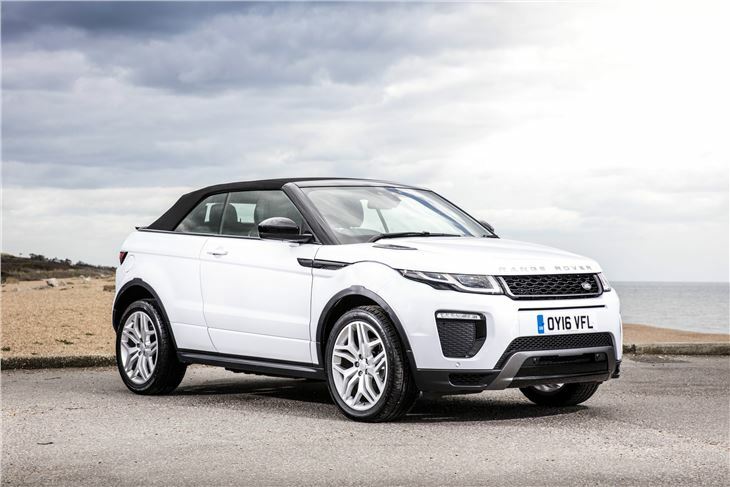 The Range Rover Evoque Convertible is based on the three-door coupe, but commands a considerable premium to buy new, with prices starting close to £50,000. 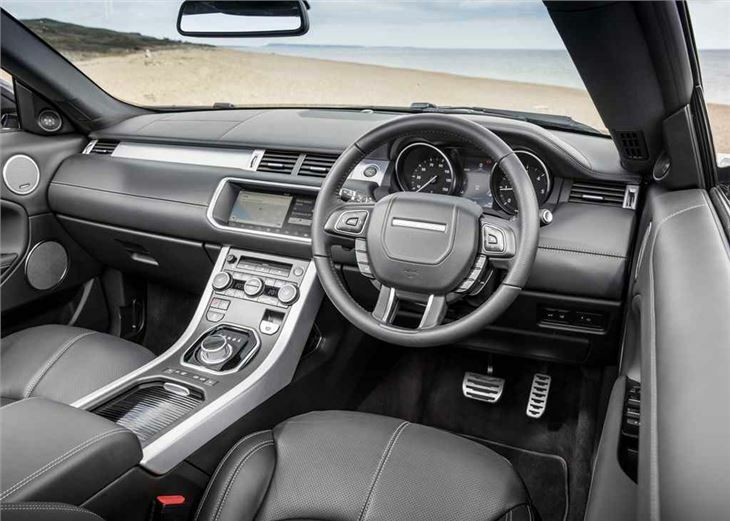 Everyday practicality is limited, compared to the hard-top Evoque, with poor levels of head and legroom in the back. 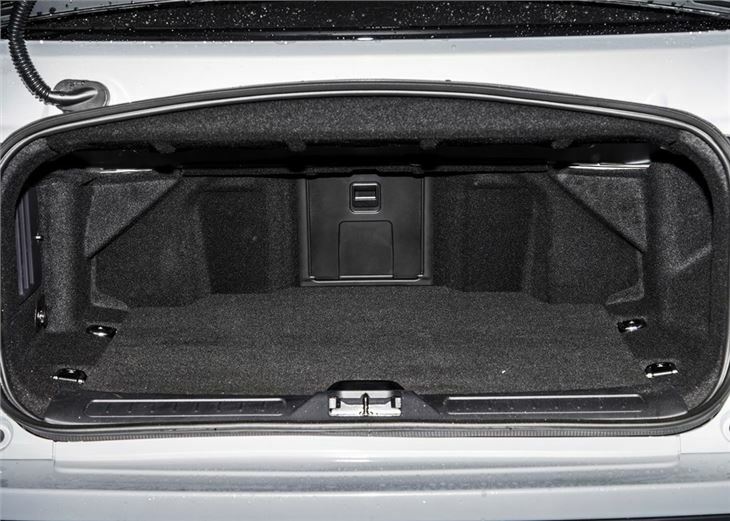 The boot is also narrow and small, which means it will struggle to accommodate anything larger than a flight bag. The engine range consists of one petrol and one diesel, with the latter providing the best balance between performance and economy. Both of the four-cylinder engines drive well, with lots of torque and low levels of noise reaching the cabin. Unfortunately the nine-speed automatic gearbox is the weak link in the package, with its doddering nature resulting in forced gear changes that unsettle the rhythm of the engine. The 2.0-litre TD4 boasts 180PS and will cover 0-62mph in less than 10 seconds, while the advertised 49.6mpg means trips between fuel stops should be relatively long. The 2.0 Si4 petrol with 240PS improves performance further and covers 0-62mph in 8.6 seconds – but isn't very efficient, with a claimed 32.8mpg. The Convertible weighs over 400kg more than the coupe, but carries the extra weight rather well, with similar handling traits to its metal-topped twin, with nicely weighting steering and excellent body control. 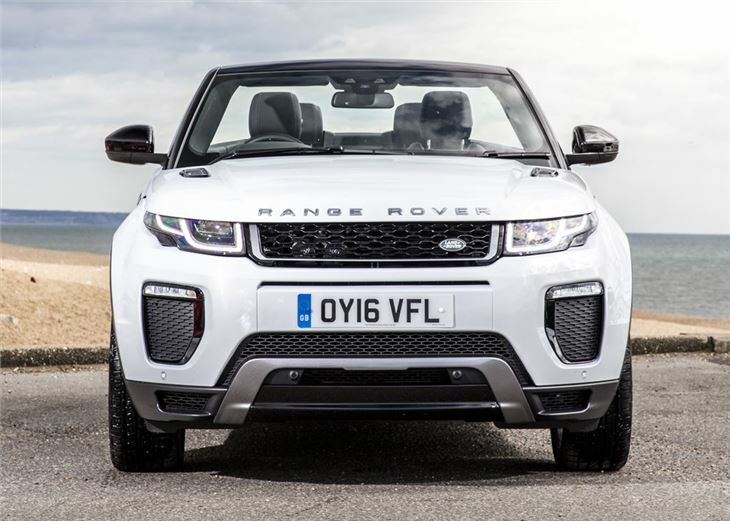 The additional weight is evident under heavy braking, with the front pitching forward a little more than the standard Evoque, but generally the Evoque Convertible is a comfortable cruiser. Ride quality is impressive, with pot holes and rutted B roads ironed out by the supple suspension, but things quickly get blustery in the cabin once you drop the roof. However, at lower speeds, on a warm day, the Evoque Convertible is a nice place to gently while away the miles around town. Operating the roof is straightforward, with the electric mechanism taking around around 20 seconds to lower the fabric roof, up to speeds of 30mph. 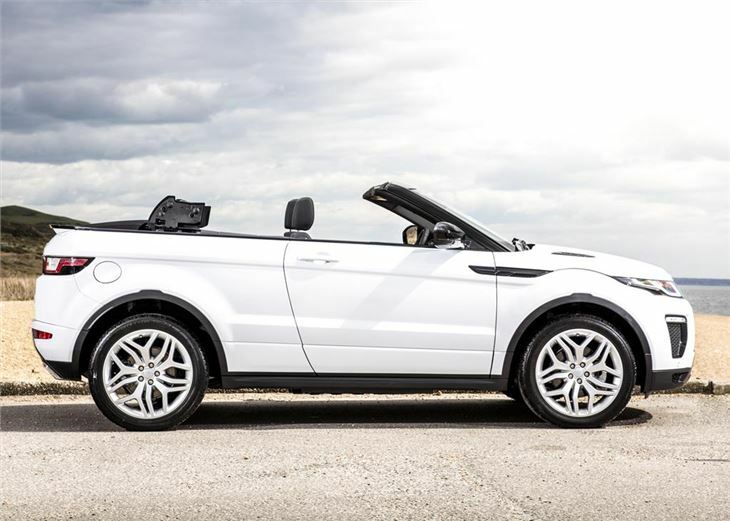 Not everyone will be taken by the Evoque Convertible's design. But the soft-top Range Rover certainly fulfils its niche as being the only premium soft-top SUV you can buy. That said, the Evoque Convertible doesn't really excel in any particular area, which means it feels very short on quality against its cabrio rivals.